How would “A Delicious Christmas” be? Well, Gibson finally got the answer from Delicious Café itself, since he was invited all the way from Penang to Kuala Lumpur to find out how delicious it can be, and he will be showing all the “answers” in this post. 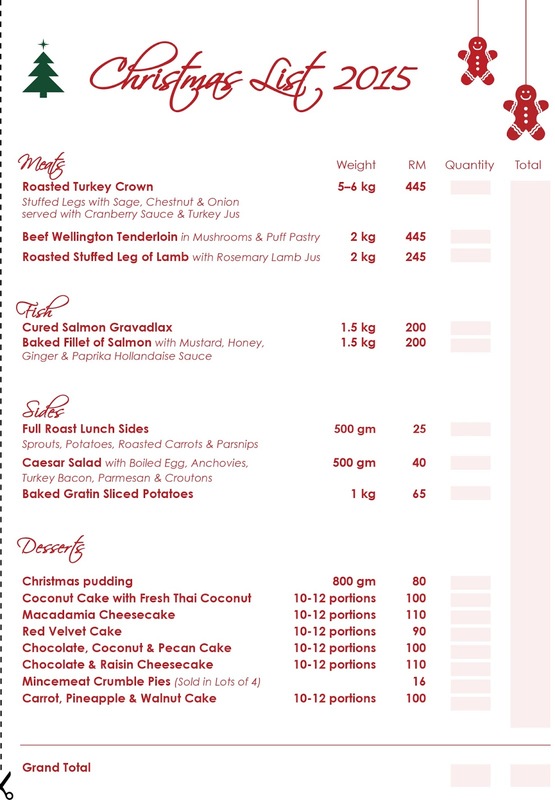 Please take note that all the Christmas menu only available for a limited period of time, which is from 14th to 31st December, they also deliver your turkey or other Christmas list to your doorstep with terms and conditions apply. As usual, Gibson always likes to start with the dessert instead of starters. This delicious looking dessert is Mincemeat Crumble Pies with Vanilla Ice Cream (RM14.50). This is the whole Mincemeat Crumble Pies before serving. Gibson liked the Salmon Gravadlax as it is not only thicker, the taste is so much more natural and mild flavored than the common smoke salmon. It is learnt that the raw salmon is cured by themselves. They offer 3 Main Courses for Christmas, but Gibson really prefers this particular one, because everything is just right, the medium rare beef is so juicy and tender, and the vegetables are well flavored, especially their combinations of mushrooms are always good in the taste and the texture. Turkey is the main thing for Christmas; Gibson likes the natural sweetness from this dish, especially the Cranberries sauce. Thinking of getting a whole Turkey delivered to your doorstep? Delicious do provides this thoughtful service (Within Klang Valley only) with terms and conditions apply. As shown in the photo is the Roasted Turkey Crown (around 5-6KG) that costs RM445, which included Stuffed Legs with Sage, Chestnut & Onion served with Cranberry Sauce & Turkey Jus. -Last date of order is 23rd December 2015 & collection is available from 10th till 28th December 2015 only. -A minimum of 3 working days (excluding Public Holidays & weekends) advance notice for collection of order is required. -Order to be submitted at any Delicious Cafes in Klang Valley. -Payment in cash or credit card must be made in full upon confirmation of order. -Minimum order of RM 100 is applicable. -Complimentary delivery for any order above RM800 within Klang Valley. -Prices are inclusive of 6% GST. 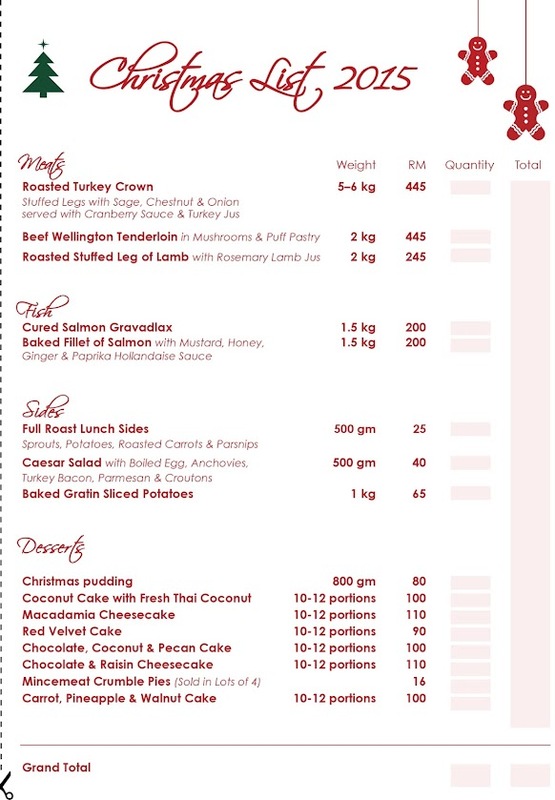 -For any enquiries, please contact 03-9221 8266 (ext 201) or catering@delicious.com.my.